It’s here! The Kickstarter for Bulletproof Blues Second Edition! Why should you support this Kickstarter? New interior art! New cover art! A whole new GM Resources section, with more information about the Kalos Universe setting! A new, more attractive layout! More sample characters! Stories, sourcebooks, and adventures from Steve Long, Chris Helton, Jason Tondro, and Sean Patrick Fannon! And so much more, all dual-licensed under the OGL and Creative Commons Attribution Share-Alike licenses! What can you do to help? Well, obviously we’d like you to back the project. Every little bit helps! But even more important than your direct financial support is your spreading the word. This campaign will only be successful if it reaches a wider audience than the existing Kalos Comics fan base. Please help! Share news of this Kickstarter campaign, “like” and/or “circle” the Kalos Comics pages on Facebook and Google+, and if we post any campaign updates you like, please share them! We would love for this campaign to be successful, but it can only happen with your help. The campaign is off to a great start. We are only on day 2, and our first goal is 60% funded. Let’s keep the momentum going! Share the link for the campaign, and ask your friends to share it. Encourage them to support the project. If you have questions or suggestions, let us know! Together, we can make this happen, and fund all of our fantastic stretch goals. And because we believe that what comes around goes around, from time to time during this campaign we will point you to other Kickstarter campaigns that we think are fun or interesting. Even if you aren’t able to support our campaign, take a look at these other campaigns and see if you’d like to support them. Today’s shout-out goes to Iron Edda: War of Metal and Bone for Fate Core. Their campaign has already met its initial goal, but they have some really fun stretch goals. Check it out! It’s day 4 of our Kickstarter, and the campaign has broken $1000! We are 2/3 of the way to our base goal. Of course, we want to go much further than that. To fund the cover and the new character art, we’ll need to hit $5000. To fund the fabulous stories, sourcebooks, and adventures of our stretch goal authors, we will need to reach almost $11,000. And to have the brilliant Dan Houser provide new illustrations for each of the chapters, we will need to reach a little over $13,000. But we can do it! All it takes is just a handful of backers (say, a thousand or so) to back us at the $10 or $25 level. It’s possible: we just need to get the word out. So please share the Kickstarter link among your friends and circles (as appropriate — please don’t spam), and ask them to do the same. A fantastic second edition of Bulletproof Blues is within our reach. As part of “what comes around goes around”, today I’d like to direct your attention to Medusa’s Guide for Gamer Girls, a book for women gamers and those of us who love them. Some of the book will look at problems we face in a male-dominated hobby, but it’s a constructive book too. Medusa’s Guide for Gamer Girls is the brainchild of Christina Stiles, a respected and prolific game author, but if the IndieGogo campaign is successful, it will also include contributions from a number of other women in the gaming industry. Check it out. P. S. Happy birthday to Alice Cooper! Welcome to day 5! We have four entries in our update for you today. 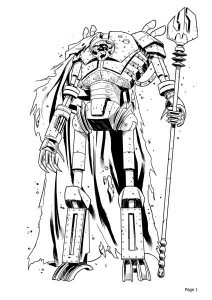 First, here is the inked version of Miasma, by Sean Izaakse! A few minutes ago, I sent the high-resolution version of this image to our backers, but this lower-resolution version is for everyone to enjoy. Second, the campaign has surpassed $1100, and is still growing! That’s entirely due to everyone who has supported or shared our campaign. We would not have come this far without you. Thanks! If you have suggestions for how we can attract even more supporters, please let us know. We are open to your ideas! Third, here is a fun podcast that Sean Izaakse and I were invited to sit in on recently: the BAMF! Podcast from Mike Lafferty. We talked about Elseworlds, alternate continuities, and just generally waxed geeky about superhero comics. Check it out! Finally, as our “what comes around goes around” entry for this update, here is a touching autobiographical drawing by Dean Trippe on a sensitive topic: sexual violence toward children. It’s worth reading, and if you have 99 cents to spare, please consider buying a copy of Something Terrible, the artist’s book. It’s Day 6 of the campaign, and we are just a smidge away from reaching our base goal. Thank you! When the campaign hits $1500, we’ll post the full color illustration of Miasma (and our backers will get a high-resolution version). Look for it soon! Finally, take a look at this comic: “Perils Of The Lady Gamer” (a new Graphical Diversion by Shaenon K. Garrity). It would be funny if it weren’t true (although it’s still kind of funny, in a black humour sort of way). We have reached our base goal of $1500, so let’s start with a bang: the full color illustration of Miasma, by Sean Izaakse! Our backers will be receiving the high-resolution version of this image shortly, released under the Creative Commons Attribution Share-Alike 3.0 US license. $13,100 to pay for the new chapter art. We can do it, if we can get the word out to the many gamers and superhero fans out there that have never heard of Bulletproof Blues. So please share the Kickstarter link with your friends, and if you have any suggestions for how we can attract more backers for the campaign, please let us know. Don’t forget about the character sheet contest! Take one of the characters from Bulletproof Blues, and write, draw, or design a new format for the character’s write-up at the back of Bulletproof Blues Second Edition. The winner will receive credit in the second edition credits and a free print copy of the game (either the current edition, or, if they are willing to wait for it, the second edition). The contest will run through the end of the Kickstarter, but don’t wait until the last minute. Send your contest entries to bblackmoor@kaloscomics.com﻿ . Today’s “What comes around goes around” feature is AMP: Year One, A Modern Supers RPG by Eloy Lasanta (from Third Eye Games). Players become the first of their kind in a modern world of conspiracy and danger. Why would I point you to another superhero RPG Kickstarter? Because, as we say in the introduction to Bulletproof Blues, different people like different things, and that’s okay! Maybe Bulletproof Blues isn’t your bag, or maybe you’ll like both games: who knows? The most important thing is that you find the games you like. If that’s Bulletproof Blues, great. If that’s AMP, or some other game, that’s great, too. So check it out! Great news! Over the weekend, we conducted a survey of our current backers to see how they would like us to prioritize our stretch goals. As a result, we have re-organized our stretch goals. Check them out! As a result of this re-organization, we are only $44 away from our first stretch goal, The Ruins of Atlanta from Jason Tondro. That’s just one backer at the National Icon level! 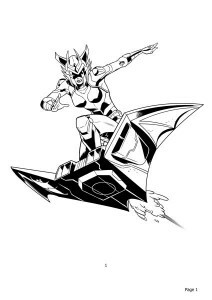 To celebrate, here is the inked version of Chthyra by Sean Izaakse. As always, our backers will be receiving the high resolution version of this image in a separate update, licensed to them under the Creative Common Attribution Share-Alike 3.0 US license. While you are are admiring that, pop over to the GagMen Podcast. They invited Brandon Blackmoor to sit in with them and help concoct a one-shot adventure for Bulletproof Blues. Brandon had a lot of fun doing it, and we hope you enjoy listening to it. Ruins of Atlanta is funded! We have reached our first stretch goal: Ruins of Atlanta by Jason Tondro! Everyone who supports the campaign at the City Defender ($25) level or above will receive this PDF supplement and all other supplements unlocked throughout the Kickstarter campaign. 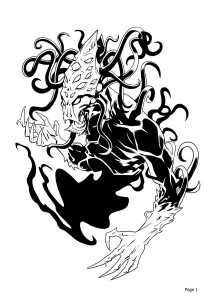 As part of our regular updates, here is the full colour version of Chthyra, the Crawling Chaos! Our backers will be receiving a high-resolution version of this image, licensed under the Creative Commons Attribution Share-Alike 3.0 US license. The Dorkland! blog regularly features fun and interesting content related to comics and roleplaying games. Recently they had some very nice things to say about Bulletproof Blues. They also have an interview with comic legend Pat Mills, and a review of the DeadWorld comic, what some consider the original “walking dead” comic. A quick update today. 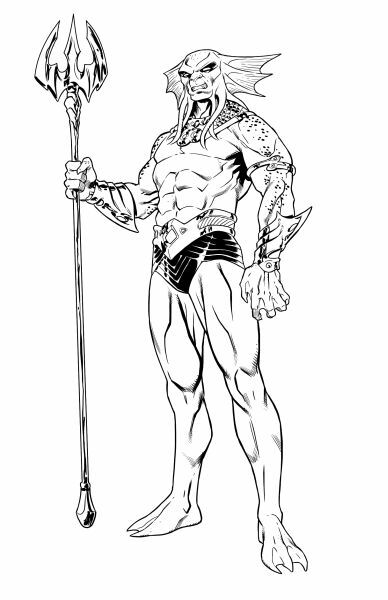 First, we have updated the Kickstarter site to reveal the inks for one of our favorite sample characters, Manticore. Fun facts! In China, Manticore is known as “Dragon’s Lovely Daughter”, while in Japan she is known as “Super Demon Rider Girl”. Second, we recently encountered a fun and different take on the the superhero genre: Nimona, an ongoing comic by Noelle Stevenson! Nimona is the spunky sidekick to supervillain Balister Blackheart, but don’t sell her short! She grows on you. 🙂 Nimona updates Tuesdays and Thursdays. Check it out! We are fast approaching our second stretch goal: more characters, and more art! So keep spreading the word! Here is the full colour version of Manticore. Our backers can find the high-resolution version of this image in the super-secret Backer Rewards Vault. Do you like superheroes? Sure, we all do! We’d like to take this opportunity to share links to a couple of book on the subject that you might find interesting. In the less than eight decades since Superman’s debut in 1938, comic book superheroes have become an indispensable part of American society and the nation’s dominant mythology. They represent America’s hopes, dreams, fears, and needs. As a form of popular literature, superhero narratives have closely mirrored trends and events in the nation. This study views American history from 1938 to 2010 through the lens of superhero comics, revealing the spandex-clad guardians to be not only fictional characters but barometers of the place and time in which they reside. We’ll keep it short today. DriveThruRPG is having a “We Love Games” sale this week. In honor of St. Valentine’s Day, they are marking a whole pile of stuff down to 14% off this week, February 14-20. Check it out! P.S. Check out the inks for Thornmallow! Here is Thornmallow, the Iron Lich, in full “undead colour”. Backers can get the high-resolution version of this and all of our previous high-resolution updates from our Backer Rewards Vault. Did you know that the Bulletproof Blues logo uses the Revenger BB font by Nate Piekos? The Blambot site has tons of free and pay fonts suitable for comicbooks and roleplaying games. Check it out! A quick update today: inks for Widow, and a nod to Warren Ellis, creator of Planetary, one of the inspirations for Bulletproof Blues. 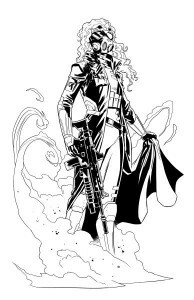 First, we have updated the Kickstarter site to reveal the inks for another of our favorite sample characters, Charlotte McCoy, known to the fine people of Chicago as the wild and wonderful Widow. Fun fact! 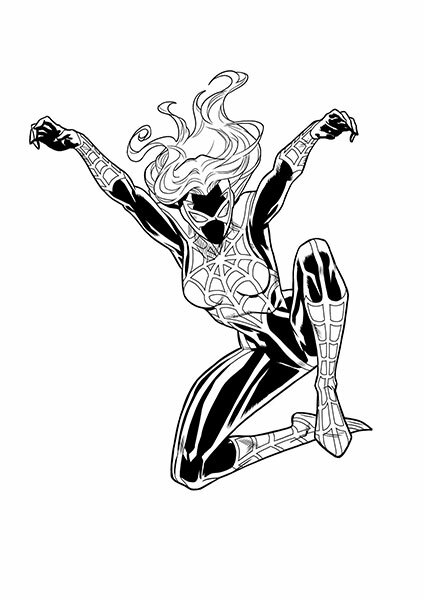 The nanotechnological goo that enhances Charlotte McCoy’s strength and speed was originally bonded with the late photojournalist Carson Cross, who secretly led a double life as the notorious Scarlet Spider. Warren Girard Ellis (born 16 February 1968) is an English author of comics, novels, and television, who is well known for sociocultural commentary, both through his online presence and through his writing, which covers transhumanist themes (most notably nanotechnology, cryonics, mind transfer, and human enhancement). In 1997 Ellis started Transmetropolitan, a creator-owned series about an acerbic “gonzo” journalist in a dystopian future America, co-created with artist Darick Robertson and published by DC’s Helix imprint. When Helix was discontinued the following year, Transmetropolitan was shifted to the Vertigo imprint, and remained one of the most successful non-superhero comics DC was then publishing. Transmetropolitan ran for 60 issues (plus a few specials), ending in 2002, and the entire run was later collected in a series of trade paperbacks. It remains Ellis’s largest work to date. 1999 saw the launch of Planetary, another Wildstorm series by Ellis and John Cassaday. 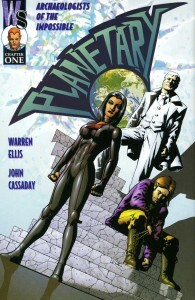 Planetary concluded in October 2009 with the release of issue 27. Here is Widow in full vibrant colour, courtesy of brilliant artist Sean Izaakse. As always, our backers get a high-resolution version of this image, released under the Creative Commons Attribution Share-Alike 3.0 US license. Did you know that Sean Izaakse hails from South Africa? He does! We don’t know if Sean has ever hugged a lion or snuggled with a hyena, but here is a video of one of his countrymen doing just that! Here are the inks for Noble Glaucus, Warlord of Lemuria. Have you heard of Minimum Wage? In Minimum Wage, writer/artist Bob Fingerman documents the life of an up-and-coming comic creator who is transitioning from a life as a starving indie cartoonist into the bright lights and big dreams of work in the superhero mainstream. Fingerman himself has lived the life of a comics creator and worked with virtually all of the publishers (both superhero and independent), and the stories in this recently relaunched Image series are filled with true stories, backstage gossip and Fingerman’s imagination to create a fictional view of being a working comics creator that is brutal, heartening and humorous. Check it out! As I write this, the Kickstarter has blown past our second stretch goal (more art! more characters!) and is heading toward our third stretch goal (Extraterrestrial Villainy, from Steve Long)! That’s exciting! We also have the last of our scheduled art update to share with you: the colours for the aquatic antihero, Noble Glaucus, Warlord of Lemuria! Did you know that there are two different contests related to Bulletproof Blues? There are! And they are awesome! First, we have a contest to redesign the character sheet we use for sample characters in the book itself and in the character art packs we release on DriveThruRPG. Entering is easy! Just take one of the sample characters in Bulletproof Blues, and write, draw, or design a new format for the character’s write-up. The winner will receive credit in the second edition credits and a free print copy of the game (either the current edition, or, if they are willing to wait for it, the second edition). We have decided to extend the contest until March 31, to coincide with the GagMen contest, below. Send your contest entries to bblackmoor@kaloscomics.com﻿. The GagMen are a group of friends that get together periodically, brainstorm a one-shot adventure, and then publish it! Once in a while they invite a guest along to join the fun. Four characters will be selected by the hosts of GagMen and those four finalists will be sent to Kalos Comics, who will select the winner. The winning character will be drawn by comic book artist Sean Izaakse and the character will be featured in Bulletproof Blues Second Edition. The winner will also receive a digital copy of the image, released under the Creative Commons Attribution-ShareAlike 3.0 US license. Entries accepted until March 31, 2014 at midnight east coast time. Bulletproof Blues head writer Brandon Blackmoor has been making the rounds on gaming podcasts over the past couple of weeks. In addition to the GagMen podcast, he sat in with Steve Russell (of Rite Publishing) and Owen Stephens (of Rogue Genius Games and Green Ronin) on their Demiplane of Gaming podcast. Last but not least, Nicholas Ahlhelm invited Brandon to join him tonight on the SuperPowerCast. Keep an eye on the SuperPowerCast site for that podcast! With only seven days to go, we are swiftly approaching the third stretch goal, an adventure written by Steve Long. We are confident that we will blow past that goal and continue racking up more! If you’d like to get as much as possible for your generous support, spread the news about the Kickstarter, and ask your friends to spread the news, as well. More eyes on the campaign means more support, and the more support we have, the more you will get for your contribution. In the “what comes around goes around” department, we’d like to share with you a game reviewer that we only discovered today: The Gentleman Gamer. We’ve only watched a few of his videos so far, but we like his take on things. Check it out! For example, here is an excellent commentary on “Sexuality, Gender, and Race in RPGs”. 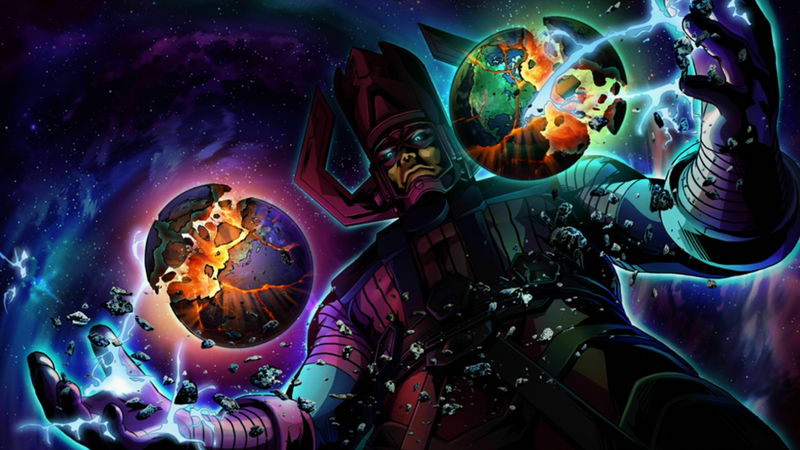 How Well Do You Know MARVEL Comics? Thanks to S. John Ross and Blood Brethren Games for these links! Stretch goal three has been funded! Gaming industry veteran Steven S. Long will provide a short adventure involving extraterrestrials. Two days left, and the stretch goals are falling like dominoes! Christopher Helton will develop a larger than life space setting featuring (but not limited to) powerful alien cultures, space-faring law-enforcement agencies, and big, cinematic dangers that need the power of fearless super-beings. And we are only a few hundred dollars from stretch goal five, which will give you even more great character art from Sean Izaakse! If you have friends who were hesitating to support the kickstarter, don’t let them miss out! Share the news! Tomorrow, March 2, is the final day of the campaign. Stretch goal 5, “More characters, more art!” has been funded and left in the dust! A total of nineteen character illustrations by brilliant artist Sean Izaakse! Our next stretch goal is new chapter art by Icons line artist Dan Houser. Will we make it? Let’s find out! The Kickstarter campaign has ended. The final total is $5,277. We didn’t fund all of our stretch goals, but we funded most of them, and that’s fantastic! Huge thanks to everyone who backed the project or spread the word about it. Doubly huge thanks to the authors and artists who offered to contribute to the project: Sean Patrick Fannon, Christopher Helton, Dan Houser, Sean Izaakse, Steven S. Long, Jason Tondro, and John Zeleznik. I am certain that it would not have been anywhere near as successful without their encouragement and support. Would you like to follow the progress of Bulletproof Blues Second Edition? Please “like” us on Facebook, “circle” or “follow” us on Google+, or check back regularly on the Kalos Comics blog. If you backed the project, I will be in touch with you individually to fulfill your backer rewards.